She is better known as the mom of the Concio sisters, but there's a lot more to discover about this expectant mom. She may not be a familiar face to many, but there's a big chance you've come across Carla Concio's work (or client) one time or another. You've probably listened to a song she wrote for a teleserye, watched a talent she manages in a concert, or seen her beautiful kids conquer the stage. 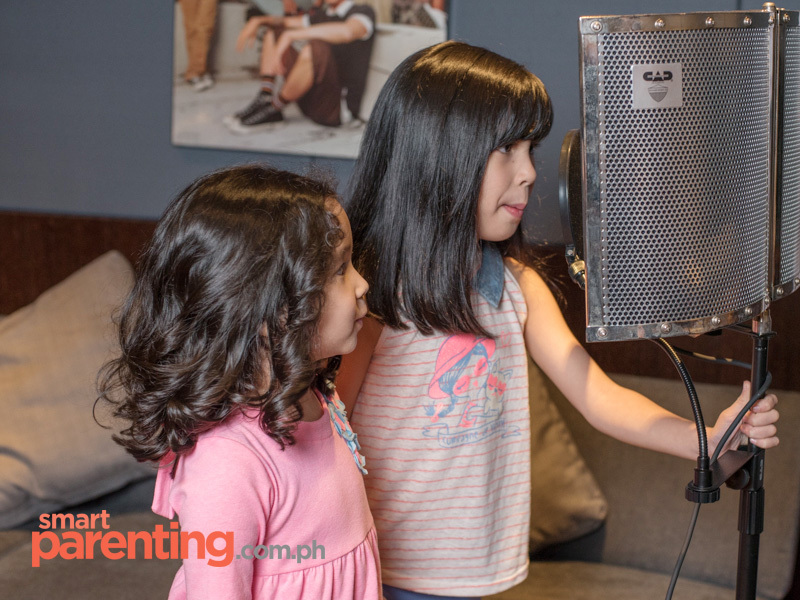 Yes, the whole family is all about music -- husband Francis is a musician, and her daughters are "The Concio Sisters," who are carving their own name in the music industry. And, of course, we can't finish an introduction without mentioning her mother-in-law: none other than ABS-CBN's "Ma'am Charo." For someone who is in the showbiz fold, Carla has managed to keep a low profile, opting to remain on the sidelines instead. 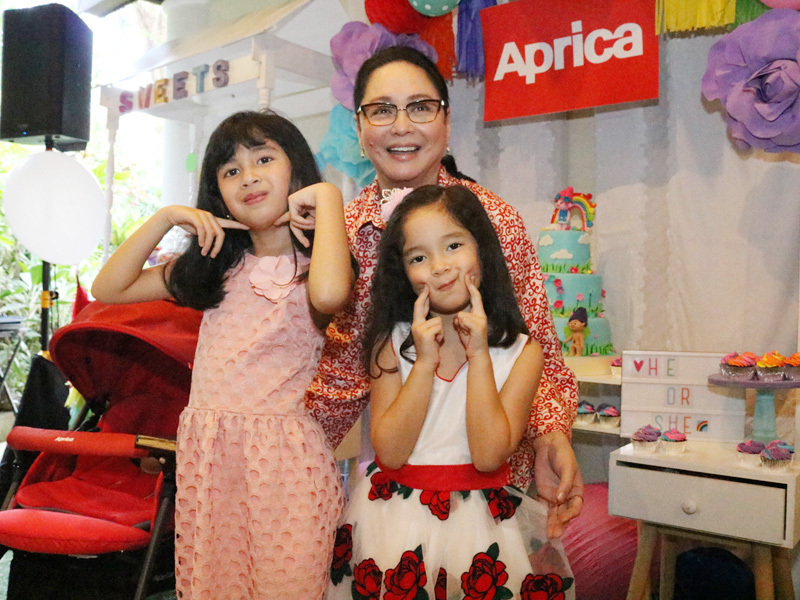 Carla, who will give birth in March, welcomed SmartParenting.com.ph to her lovely family home for an afternoon of mommy chit-chat that, yes, includes finding out what it's like to have one of the most powerful women in showbiz as a mother-in-law. Was this pregnancy planned or a surprise? It was planned. We talked if we wanted to have one more child because now is the time. I'm 35 years old. How did you find out that you were pregnant? I have always been regular [with my period]. So when I was delayed, we bought the pregnancy kit, and we went to the OB. How different is this pregnancy from the first two? The first two nahirapan ako. With Julia, I had placenta previa totalis (a condition where the placenta lies low in the uterus and covers the opening of the cervix). That's why it was a CS delivery. With Talia, hirap din because of morning sickness and migraine. But this one, walang difficulty at all. I'm super blessed. No cravings, no morning sickness, super easy sya. None talaga. Sabi ko nga kung laging ganito nararamdaman, kung hindi ako CS pwede kami mag-sampu [na anak]. But, since third trimester na, nafi-feel ko na parang mabigat na. Pero nung first, second trimester, it was so easy sometimes I forget that I'm pregnant. Sabi ng doctor ko, you'll feel back pains, leg cramps, pero wala naman. I have a schedule na for the CS delivery in March. What do you like most about being pregnant now? I like the VIP treatment [they give you] in lines where you get priority. And people complimenting me na blooming daw ako, na siguro girl ulit. Nakakatuwa na nakikita nila yung happiness ko nagra-radiate sa labas. Sabi ng ob-gyn ko, pahinga muna [after this]. But I said, Doc, babies are addicting! You like kids talaga, noh? I like kids. I'm super hands-on. We have one yaya na nag-a-assist lang. In the morning, ako nagpe-prepare for them to go to school, and then at night ako nagpapatulog, as much as kaya ko. Yung dalawang girls, we co-sleep with them. When we lived in the States for a year, meron kaming 2 years old at 8 months old, kami lang talaga lahat. What do you miss most about your pre-pregnant body? Of course yung flat tummy. Nasa genes daw yan, eh, nakita nyo naman yung lola ko she's payat. So kung ano yung bigat ng baby ko, yun lang ang gine-gain ko na weight every time. My two girls, malalaki sila at birth -- 7.4 and 7.2 lbs. -- pero payat lang talaga ako. Lagi kong sinasabi, don't eat for two, just get enough nutrients for your body. What food cravings did you have during your first two pregnancies? With Julia, I wanted fried chicken and avocado. With Talia, fish. With this one, meat. What's the best pregnancy advice you got? From my mom-in-law, huwag magpataba because sya noon lumaki after having her sons. May nagsasabi din na wag daw masyadong ibe-baby yung boy. I admit yung two girls, talagang I babied them, but I don't mind, kasi they grow up too fast. 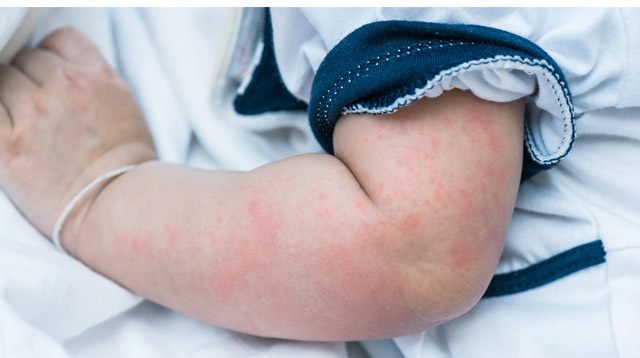 What's the biggest challenge in this pregnancy? I think it's the thought na when the baby comes out, hindi na magko-cosleep yung two girls with us. Ngayon we're preparing their room na kasi, and may separation anxiety na ako. Since birth kasi sa amin sila natutulog. Ano'ng gagawin ko? Iiyak siguro ako for the first few nights. 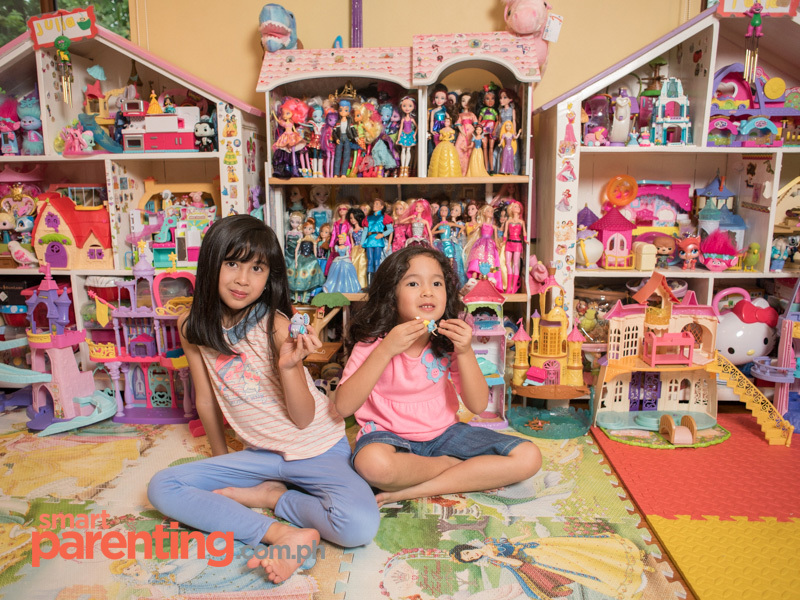 What's it like being a mom to two girls? It's fun! Very rewarding. Everytime I see my girls, like in the morning when I wake up, I'm reminded that there is still goodness in the world. How are Julia and Talia preparing to become ate? They're very, very excited, at nakakatuwa kasi meron na silang idea [of what it's like to be an ate]. Before kasi, with Julia, when we told her that Talia's coming, she was only 18 months old so she was too young to understand. But, now, they're part of the pregnancy. They sing to the baby, they read him books, they talk to him, so I'm sure they will be very good ates. Minsan si Talia, I will ask her to sit on my lap, she's very careful kasi she thinks she might hurt the baby. She's very careful and protective of the baby. Knowing that you're having a boy, is it different? (Husband Francis joins the interview) Francis: Ako na-excite ako. Carla: When I first learned na boy, sabi ko, shucks, pa'no ko sya bibihisan? Kasi I'm sanay with the girls na para silang dolls pag binibihisan, sina-style ko sila, kina-career ko every morning when they go to school. Sabi ko, pa'no yung boy? You've already chosen a name for the baby boy? C: Yes, it's Cesar Sebastian. Kasi Francis's dad is Cesar; sya Cesar din. F: My lolo was the first, Cesar Sr., and then my dad, Cesar Jr. I have an older cousin who is Cesar III. I'm Cesar Francis, so para na syang tradition. For my son, gusto ko may Cesar din yung name nya. [We picked] Sebastian because one of my musical idols is Johann Sebastian Bach, and I'm a musician and a composer. Sebastian is also the name of the patron saint for soldiers and athletes. 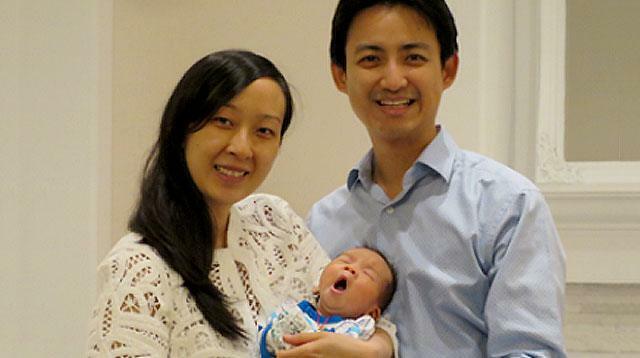 Did Julia and Talia have any suggestions for the baby's name? Meron, iba-iba. Matthew, I think yung isa. Mga names yata ng favorite characters nila sa TV shows. How are you preparing yourself for the new arrival? I'm actually nervous. With Julia kasi, I lost four liters of blood because of my placenta previa. With Talia naman, in the middle of the operation, nag-wear off yung anesthesia ko. Na-feel ko yung pain! Imagine, I was open, all seven layers [of muscle tissue], and they had to make me do that position to inject another dosage of the anesthesia. So this time, kinakabahan ako naturally. When I had Julia, I got a road manager to assist my talent, Juris Fernandez, so I could take care of the baby. There are only a few times when I have to go with her myself, like when there's an out-of-the-country project, so I'd be gone for a few days. But I explain to my kids that it's work, and they understand. So 'pag umalis ako there's no crying. Yung songwriting naman, we do it all here sa bahay. Do the kids have an idea what your work is? Yes. I bring them to shows and concerts sometimes. 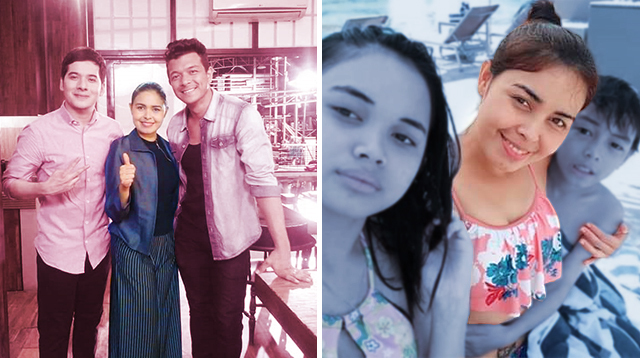 We also make them listen to songs that we composed for movies or teleseryes, like the song "Crossroads," which was played during that scene in the boat in the Richard Gomez -Bea Alonzo-Dawn Zulueta movie, The Love Affair. Francis and I also co-wrote "Tangi Kong Kailangan" for Dyesebel, which Lea Salonga sang. I also wrote a few songs for Juris. How is Charo Santos-Concio like as a lola? As a lola, she's not a spoiler, even if they're the first apo. Hindi sya yung tipo ng lola na tuwing bibisita may pasalubong. 'Pag may occasions lang like birthday or Christmas. Hindi nya sila sinanay with material things. Also, pag may ginawang mali yung girls, sasabihan nya talaga, "Don't do that, don't say that." As an in-law, she's very welcoming. Alam daw kasi nya yung feeling na "iba" ka in a household. When she married my father-in-law, he had six children already. She was the new one to join that family. That's why she's very welcoming kasi alam nya yung pakiramdam. Personally, hindi kami nagka-clash kasi hindi sya yung tipo na nakikialam with the girls. She will make suggestions, but she will not push them. She gives us that respect. Kapag minsan may gustong kumuha sa mga girls for a show, tatanungin sya. Sasabihin nya, "Why are you asking me? Ask the parents." And I truly appreciate that. Noong una, parang hindi ako makapaniwala na sya yung magiging mother-in-law ko. For the longest time, I've been Juris's manager, and I've known her as Ma'am Charo. Tapos ngayon biglang Mom na. Pero nung nag-usap na kami, and we got to know each other, okay na. Pareho kami kasi: we both came from the province -- she's from Mindoro, I'm from Cebu -- and yung traits ng isang probinsyana, meron pa din sya hanggang ngayon. Like, simple lang ang gusto nyang pagkain. Sa TV, ang nakikita ng mga tao palagi syang glamorous, pero 'pag sa bahay ang suot nya yung mga libreng T-shirts lang na pambahay. Even with makeup, kahit anong brand ita-try nya. Kahit yung nabibili sa drugstore, susubukan nya. Hindi sya mapili. There was one Christmas naman na nag-Divisoria kami. Kaya lang medyo pinagkaguluhan sya, kaya wala kaming nagawa. Nanghihinayang sya, at sabi nya mahirap pala. Recently, may pinanood kaming show (Shopkins) with her sa SM. 'Pag lakad nya, natanggal yung buong swelas ng isang sapatos nya. Sinubukan pa nyang ayusin yung sapatos. Sabi ko, ako na lang ang mag-aayos kasi nakakahiya sa mga tao. Nagtataka sya. Sabi nya, "Why? It's normal na masiraan ng sapatos." So ang nangyari, sabi nya, "O sige, dahan-dahan na lang yung lakad natin." Naglakad sya nang walang swelas yung sapatos nya. Hindi sya bumili ng bago kasi pwede pa naman daw ipaayos yun. She's very down-to-earth. 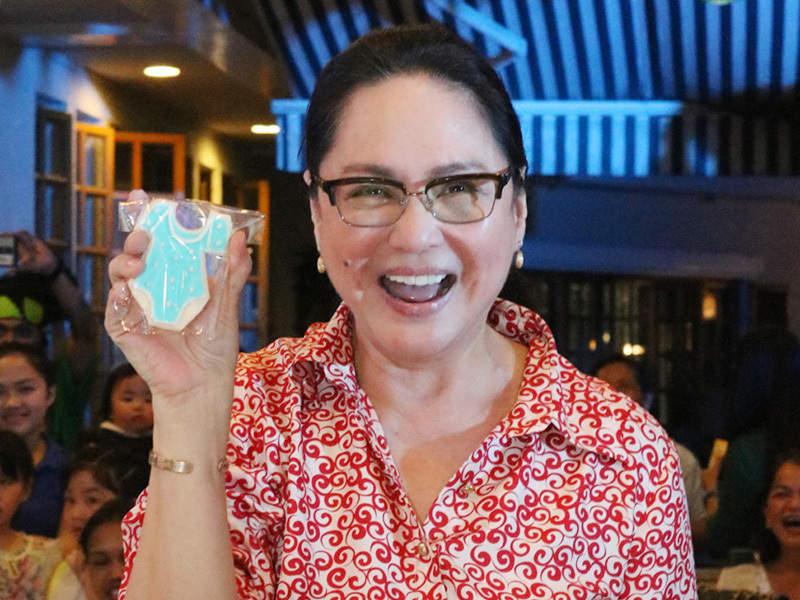 What is Lola Charo's favorite activity to do with the kids? When the kids were smaller, they loved bathtime and bubbles. So whenever they were at her house, and the girls played in the bathtub, sya yung taga-blow ng bubbles. 'Pag nag-stop sya, sasabihin ng girls, "Kaka [which is how they call their lola], again!" The president of a big company, taga-blow lang bubbles para sa mga apo nya sa bahay. What is the one thing that surprised you about this pregnancy? Loved na sya ng maraming tao. Ang dami nang looking forward sa kanya at excited sila kahit hindi namin kaano-ano. Nakakatuwa kasi we're very blessed with this pregnancy kaya parang happy din yung aura ko. Kaligayahan yun ng mom when people love your child. How did this pregnancy change you? I am humbled even more because of this pregnancy, and I feel so blessed. This pregnancy made me appreciate life more. It taught me to live more fully everyday and appreciate the little things. God has given me more than I prayed for and gave me everything when He made me a mom. 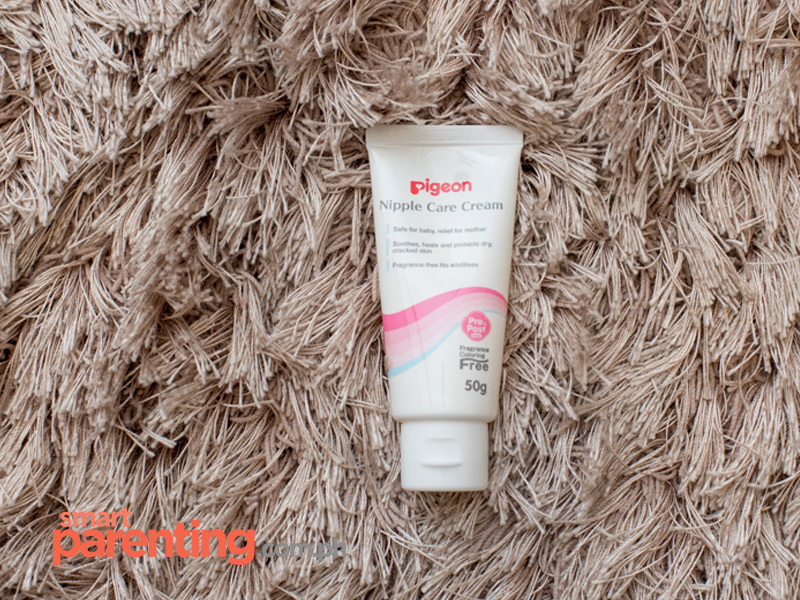 See more photos of the Concio family in their home, and find out Carla's pregnancy essentials by viewing the gallery below! This interiew has been edited and condensed. Due to have her third child and first baby boy in March, Carla is both excited and nervous about the new addition to the family. 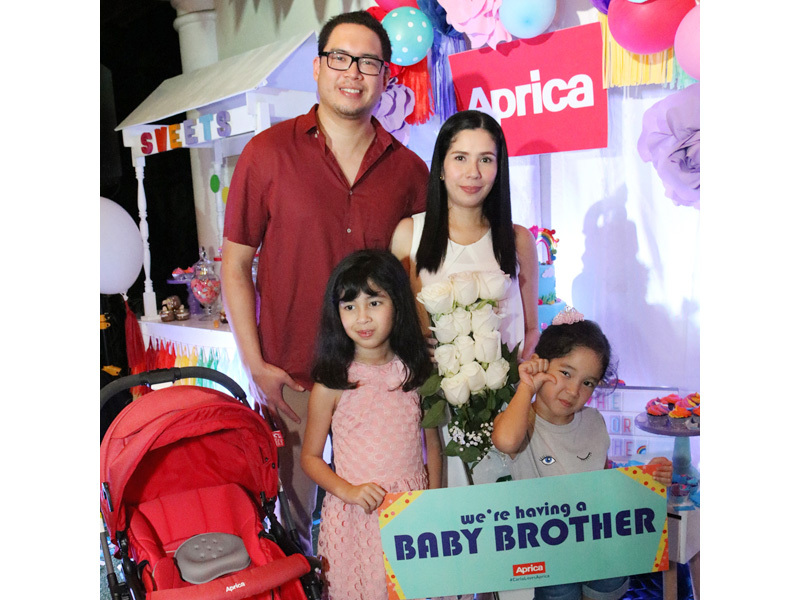 Carla says the first thought that came to mind when she learned she was having a boy was, "Paano ko sya bibihisan?" since she's used to dressing up two girls. "When I see my girls, I am reminded that there is still goodness in the world." 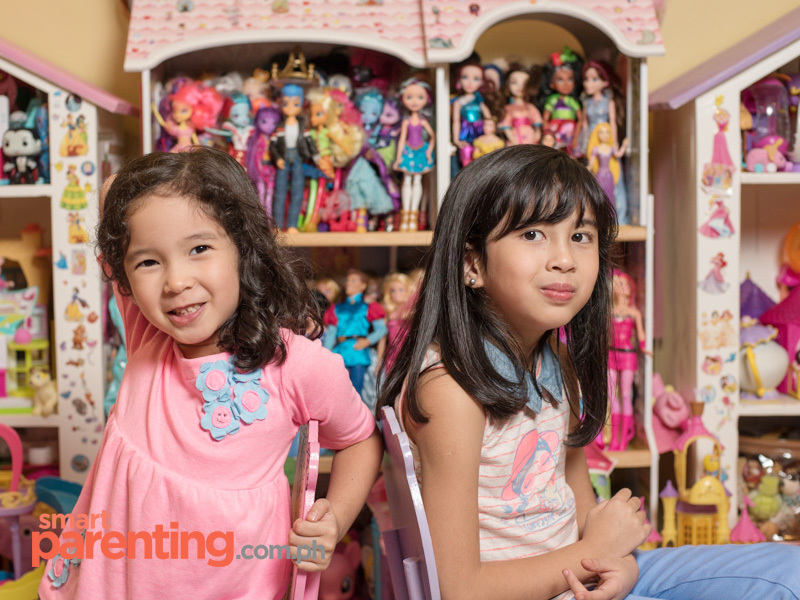 Julia and Talia, shown here in their playroom, have always co-slept with their mom and dad. They will be sleeping in their own room for the first time when the baby arrives. Like most girls, the sisters love to play with dolls. Their collection fills up an entire wall of the playroom! They love goofing around with mom, too! ... and are very musically inclined. In fact, Julia sang a duet of "Sana" with Piolo Pascual for the Maalaala Mo Kaya 25th anniversary commemorative album. 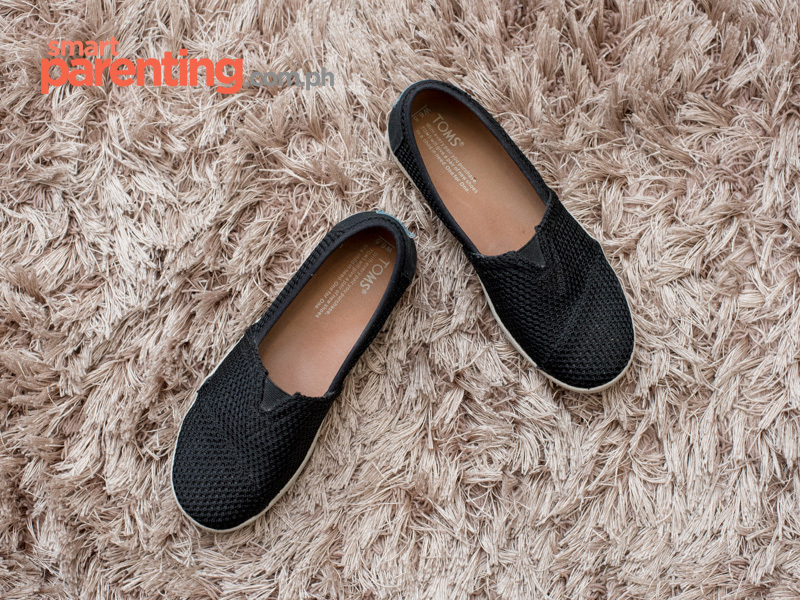 Carla refers to this pair of TOMS as her everyday shoes "because they're very comfortable," something every pregnant woman would appreciate. Carla intends to breastfeed her baby, and chooses the Avent Honey Tint bottles to assist her with her breadtfeeding journey. 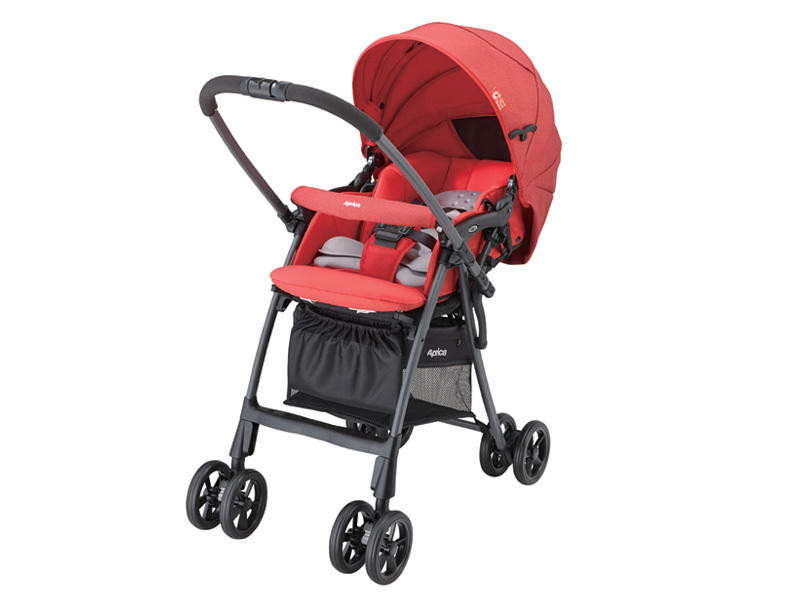 She says that the Aprica Luxuna Light stroller is one of her great finds. "We tried four different brands before, but most of them are heavy. Aprica is super light and easy to fold. 'Di ko alam bakit hindi ko sya nalaman before," she quips. Lola Charo and her apos in a candid snap taken during the recent gender party reveal of the new baby. 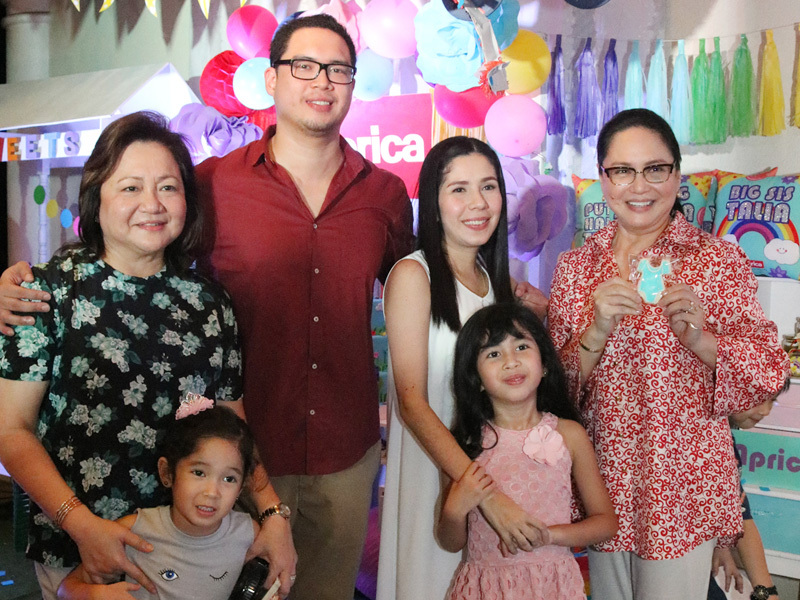 Carla and husband Francis are joined here by their kids and their tita Malou Santos of Star Creatives, who is Charo's sister. "It's a boy!" Lola Charo is one happy grandma. Photos by Lai de Guzman. All clothes worn by Carla, Julia and Talia (except Carla's yellow dress) are by Great Kids and Great Expectations, available at Shangri-La Mall, Mall of Asia and TriNoMa.